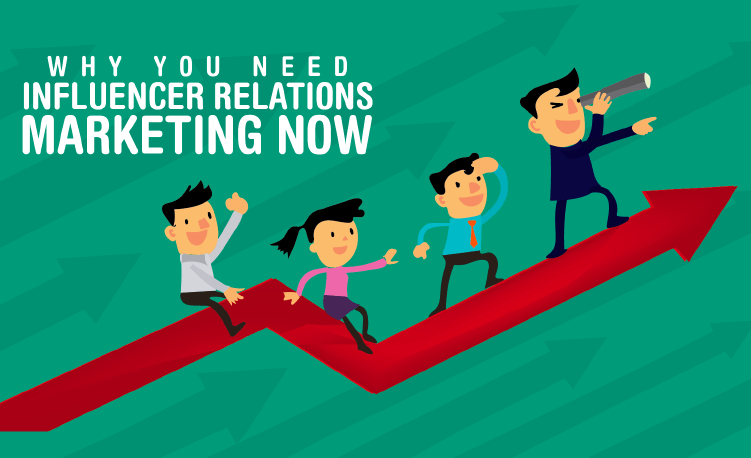 influencer relationship marketing can have a big impact on your overall marketing strategy. When applied properly, influencer relations can boost brand awareness, cultivate rapport, and leverage sales from your target audience. Did you know 71 percent of marketers rate influencer relationship marketing as a highly-tactical asset? 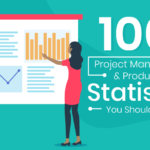 The Top Rank Marketing and Traackr report surveyed by Altimeter found that 50 percent of marketing budgets are less than $100,000 per year. This is a clear indicator of how important influencer relations is to brands. Why do brands continue to use influencer relationship marketing? It simply works. Influencer relations are the six degrees of separation consumers need to feel confident about recommendations, and later, purchases. influencer relationship marketing can humanize your brand and increase the credibility of your products and services. This is especially important, since consumers are more skeptical than ever. 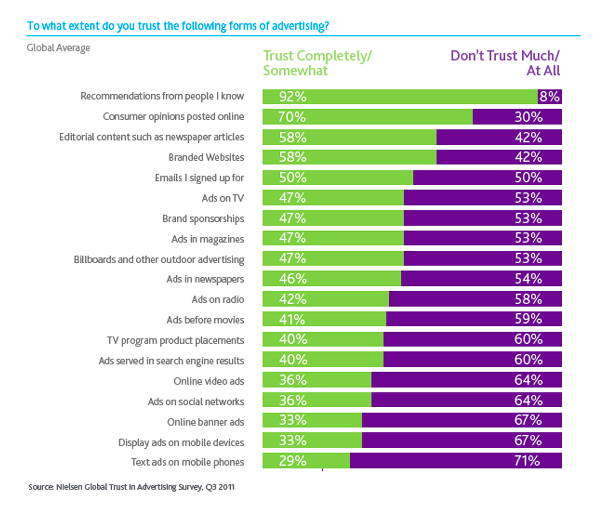 How do you get consumers to trust your brand in increasingly skeptical times? Well, influencer relationship marketing can certainly move your brand in the right direction. Did you know 82 percent of customers trust recommendations from people they know, rather than brands? According to a report by Nielson, about 66 percent of customers trust the reviews and ratings they read online. 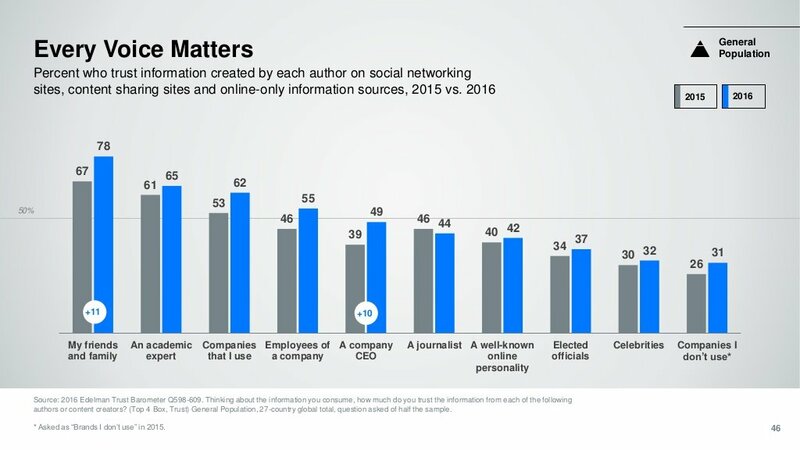 Bottom line, people trust the friends, family, and influencers they follow online, whether through social media, or via blogs or vlogs. This is what makes influencer relationship marketing so powerful. Influencer relations are ROI friendly as well, according to a report by Burst Media via eMarketer. 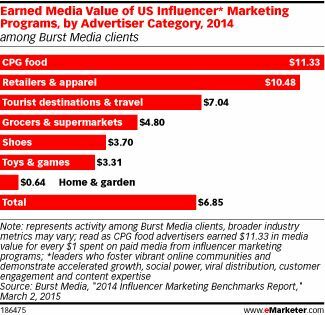 Did you know that influencer marketing campaigns in 2014 netted a $6.85 return for every dollar spent? That is certainly an ROI that gets the attention of any brand. Before you jump into influencer relationship marketing head first, it is essential to ask yourself the following . . .
How will influencer relationship marketing help my brand grow? Who will be assets of my influencer relationship marketing campaign? What tactics should I employ to make an influencer relations program a success? Let’s examine the finer points of influencer relationship marketing and how you can maximize your influencer efforts. Influencer marketing relations is certainly an essential element to sales, regardless of your intentions, target audience, and products or services. The ideology behind influencer relations is simple; customers want the input and recommendations of others prior to purchase. This is nothing new. It is how consumers have been making buying decisions before the phrase “marketing” existed. Did you know that the average customer would examine up to 11 consumer reviews before working up the confidence to buy? In fact, 74 percent of consumers search online for reviews about products or services they are interesting in buying, according to a study by Weber Shandwick. The study also found that 47 percent of consumers read recommendations about a product on a website or on social media. What areas of influencer relationship marketing will produce optimal results? Content marketing and social media. 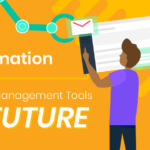 In order to maximize your influencer relations strategy, you want to leverage content on an influencer’s blog or via their social media channels. This will amplify your message in new and successful ways. According to an influencer marketing report by Tomoson, blogs are the most effective platform at 37 percent. However, all social media combined is effective at 48 percent. Employing influencer relations via blogs and social media will absolutely maximize your overall marketing strategy. You can even increase your revenue by 56 percent, with a 14 percent increase in social shares. This is all great information, but who will these impactful influencers be? Knowing whom to turn to for your influencer relationship marketing strategy is an essential element to success. And leveraging them properly is just as important. 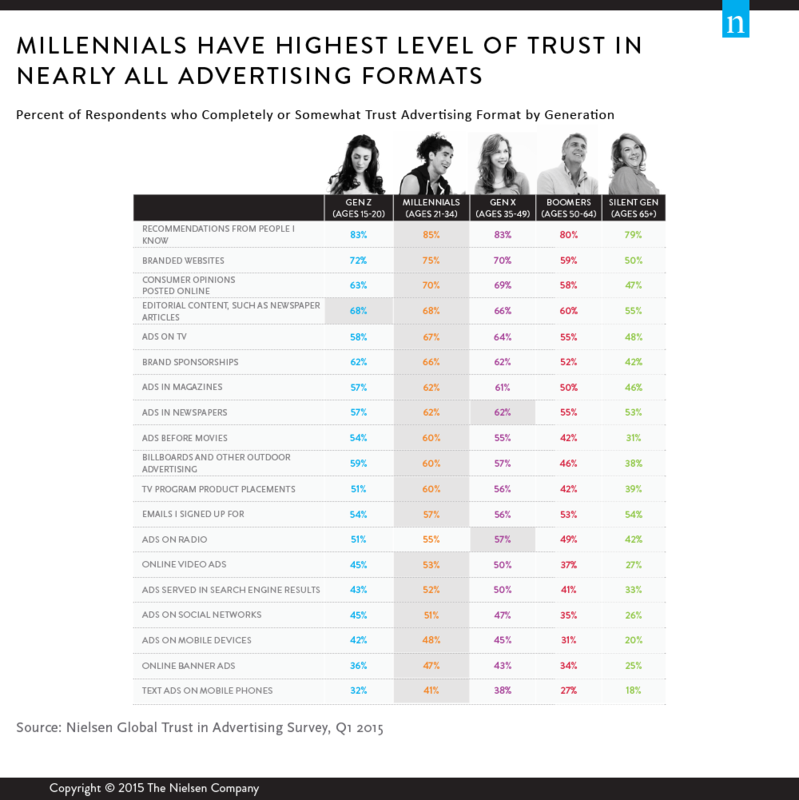 Who will your influencer relationship marketing influencers be? Leveraging influencers can be challenging, but if you know where and who to look for, it becomes pretty easy. The three key influencers you want to leverage for your brand include customers, employees, and promoters. Who knows your products and services more than your employees and customers? And promoters such as industry experts and celebrities can also prove beneficial. Leveraging Customers . . .
Who could be a better influencer for your influencer relationship marketing strategy than your most loyal customers? Your customers buy your product or services, use them, and buy more. They even recommend your products to family and friends, either directly or through their social media. In fact, 92 percent of consumers trust reviews and recommendations from family and friends above all other types of marketing, according to a report by Nielson. But how do you find and reach out to your most loyal customers? 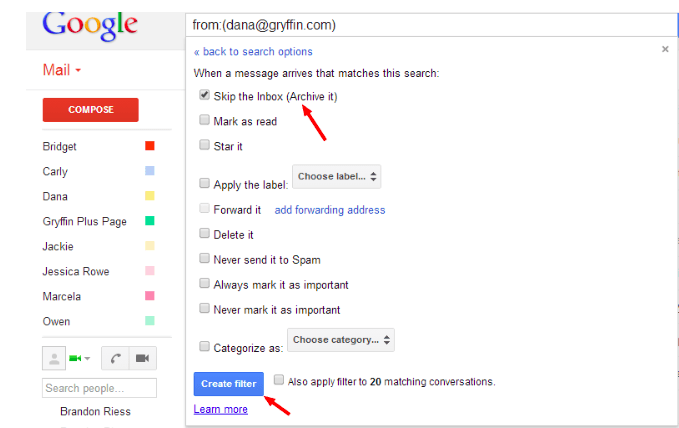 One of the best and easiest ways to find your most loyal customers is to create a Gmail account with filters. 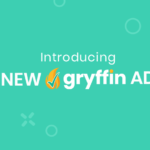 This allows you to monitor brand mentions, follow social media notifications, and track and engage with your loyal customer influencers. 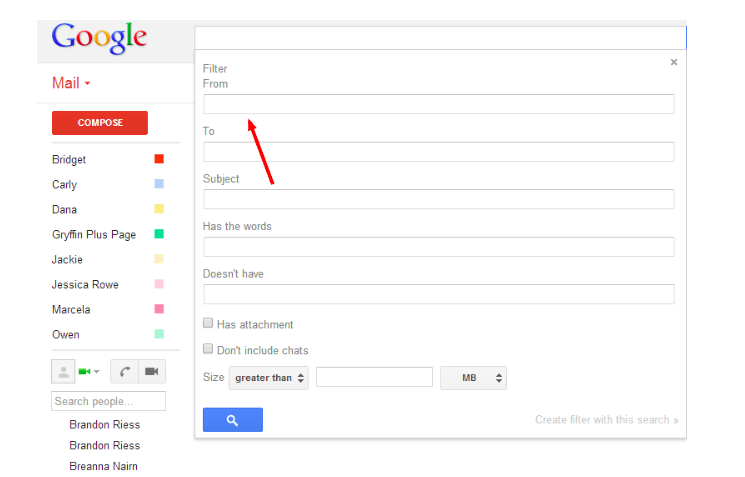 First, go to your Gmail “settings” and find “filters . . .
Next, click “apply label” for relevant labels. The labels you apply can cover all the social media accounts for your business, allowing you to track what your customers are talking about, and the customers that are mentioning, sharing, and commenting the most. Your labels can be structured under “Social Media Channels” in the following way . . .
Once you have identified your most loyal customers, it’s time to develop a plan that allows them to share their experiences and recommendations of your brand. You want to streamline this process, making it easy for customer influencers to share. For instance, many brands combine customer experience with their own social media. 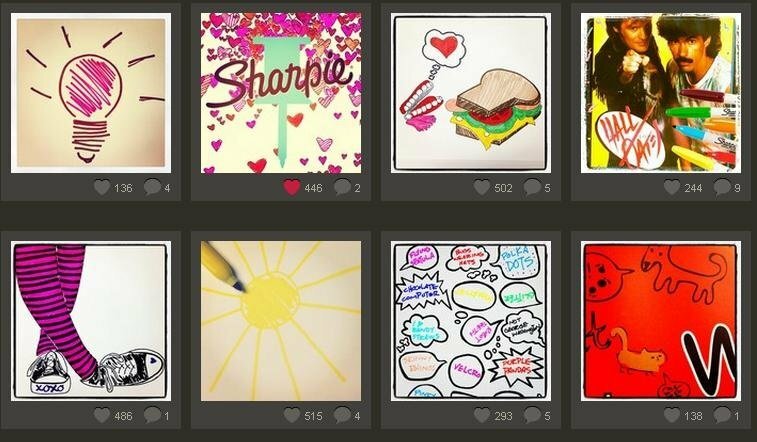 Sharpie posted customer’s’ artwork using sharpies on Instagram . . .
Starbucks invited customers to make their cups into art and post them across Instagram, Twitter, and Pinterest . 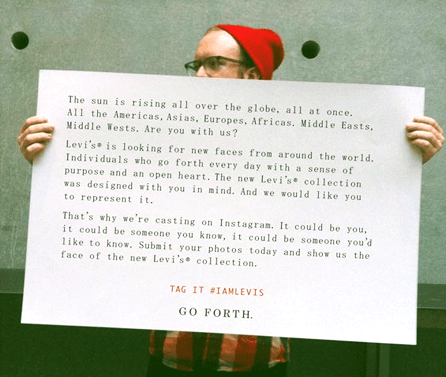 . .
Levis used Instagram to launch the #IAMLEVIS contest for one loyal customer to be the new face of Levis . . .
Offer your customers incentives to become your brand ambassadors and influencers! Give them discounts, free products, and access to customer-only giveaways and watch them become your most powerful sales team! Leveraging Employees . . . Using employees to be your influencer relationship marketing ambassadors can be a powerful strategy. But it is important to choose the right employees and connect with your target audience in the right way. For example, CEOs and other board members may not be the best option. Unless they are already notable influencers like Richard Branson or Jeff Bezos. 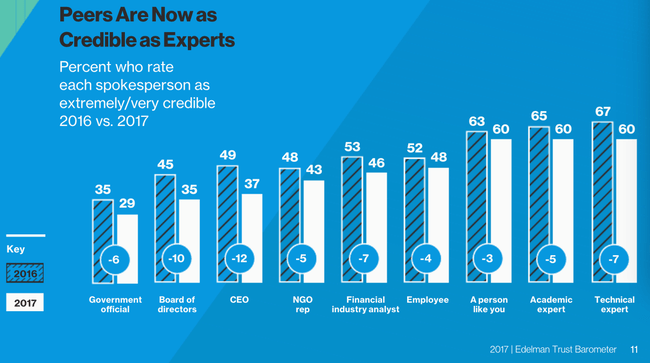 Trust has certainly diminished in many areas, especially among the top brass of institutions, according to Edelman Trust Barometer Reports. To leverage the right employees for influencers relations marketing, choose your employee of the month, or employees that have been with you from the ground up. Another fantastic way to humanize your brand is to show employees at work, and how your products or services are developed. Starbucks “Behind the Scenes” campaign combined employee influencers with how their coffee is made. This gave their audience an insider look at the processes from bean to cup. 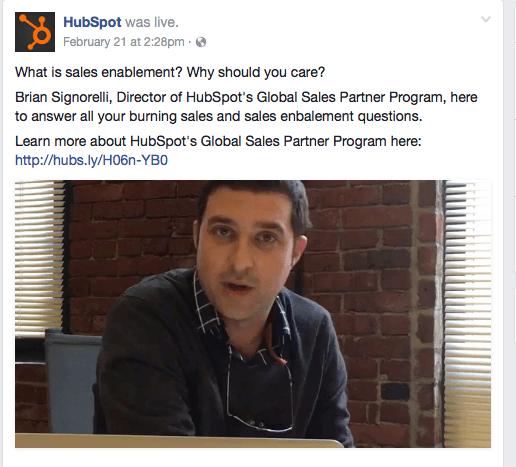 HubSpot makes their brand personal by featuring employees on their Facebook page. They also use this personal social approach to promote events, like webinars, employees are hosting. This humanizes their brand and also boosts its authority. Leveraging Promoters . . .
Promoters continue to be exceptional influencers for brands, and they come in different forms, and have communities on various online platforms. Promoters include celebrities, professors, and industry experts, among others. Finding promoters is the easy part. Vetting promoters to ensure your influencer relationship marketing strategy will benefit is more challenging. 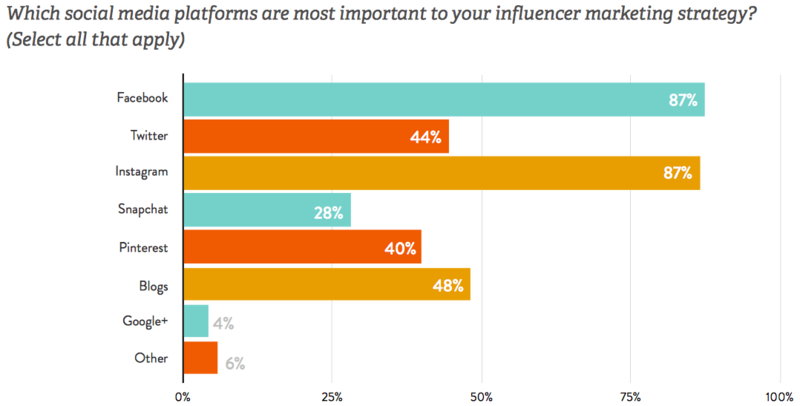 Do you know the most valuable social media platforms for influencer marketing? According to a report by Linqia, Facebook, Instagram, and blogs are leading the influencer relations way. Begin with BuzzSumo to identify key bloggers in your niche . . .
You can type in your topic, keyword, or even a site URL. You will then be shown any relating blogs for your search . . .
You will be able to see social media shares and engagements for each article, including the websites that produced those articles. This is where you can begin building your list of relevant influencers. What about social media sensations for influencer relationship marketing? There are a few great tools to identify top social media influencers. In most cases, you may find it easier to simply hop on the social media network most valuable to your target audience. 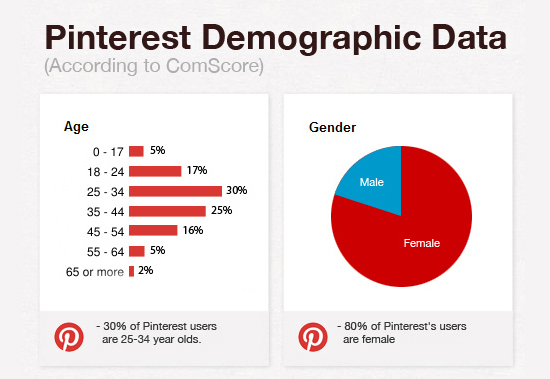 For instance, if your target audience is comprised of women between the ages of 25 and 34, Pinterest may be a great place to find a social influencer. Then browse potential influencers, looking at their following, number of pins, and their engagement. What’s great about influence marketing is that you can immediately work it into your marketing way, tentatively at first if you want to test it out, or you can go back right out the gate. Either way, it’s an entirely accessible tactic that you can start developing right away. How can you get the ball rolling? Start by determining your strategy, goals, and KPI’s. Do you want to work with promoters at the micro-influencer level, or do you want to go straight to celebrity influencers? Are you going to measure the success of your campaign by looking at engagement metrics, sales metrics, or audience growth? What will be the theme of your campaign, or do you want them to simply talk about your brand? 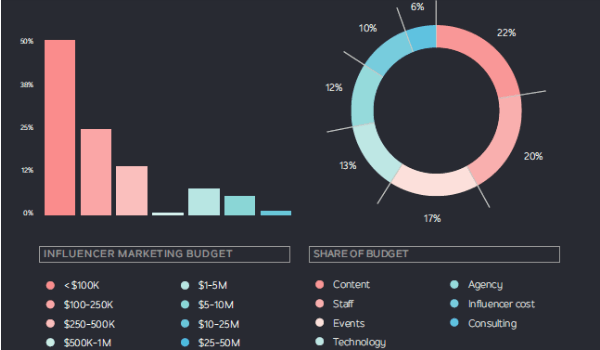 What are the Most Important KPIs to Measure for Influencer Campaigns? 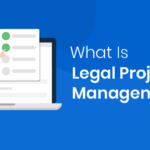 What Is Legal Project Management? 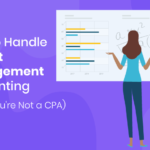 | Does My Practice Need LPM?